For a long time I have wanted to go to a cheese festival. I love cheese, and trying new types in the sun while drinking cider or wine is pretty much my idea of a well-spent afternoon. Here are some festivals around the UK I would like to visit given half the chance. Obviously, the king of festivals, Glastonbury is an experience I am yet to have. 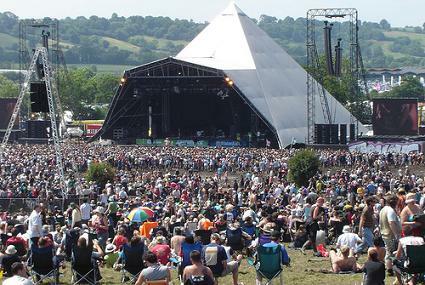 I was intitally worried about the shoddy toilet facilities, drug-taking and crowds (I hate big crowds of people), but I think it would be worth it, and I've since realised you don't have to spend the whole day trying to get as near to every stage as possible, like when you were a teenager at gigs. Perhaps next year I'll grab myself a ticket. It sounds like a man's dream, but I'd like to get in on this. It's held at Jimmy's Farm in Suffolk and the festival is on the 27th and 28th of July. Sounds good to me! On this weekend! 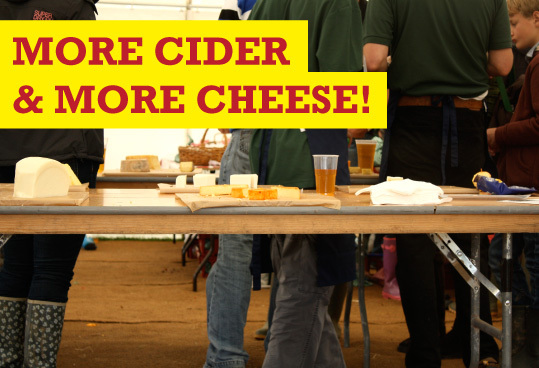 Somerset's Cider and Cheese festival is held at Crickiter Farm in Somerset and the name says it all - cider, yum, and cheese, double yum. I only found out about this one today and I'm visiting my Mum at the weekend, otherwise I would have dragged the boyfriend (and dog) down there for some cheese in a field! If there's one way to overcome the winter blues in December, it's sipping award winning hot chocolate by the Thames. 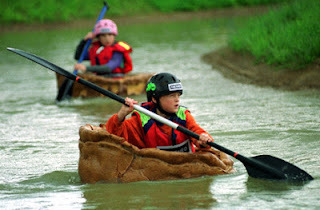 The Chocolate Festival is on on Friday 13th- Sunday 15th December and the photo alone is enough to make me want to visit! And now for something completely different... no, it's not just a name. People do actually sail in boats made from Yorkshire Puddings at this festival in Yorkshire. The festival is held in June. 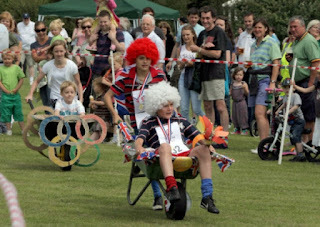 And finally... in the village where I live, every year they hold a wheelbarrow race. It'll be my first summer living in the village, and I'm really excited for the big day! There's a small one on Saturday the 13th of July, but the big event is on the 31st of August. There'll be a bar and stalls, and then I can roll home (or be wheeled home) drunk as a skunk. Excellent!